First Steps in Classical Piano is the beginning of your journey to playing beautiful classical piano pieces. 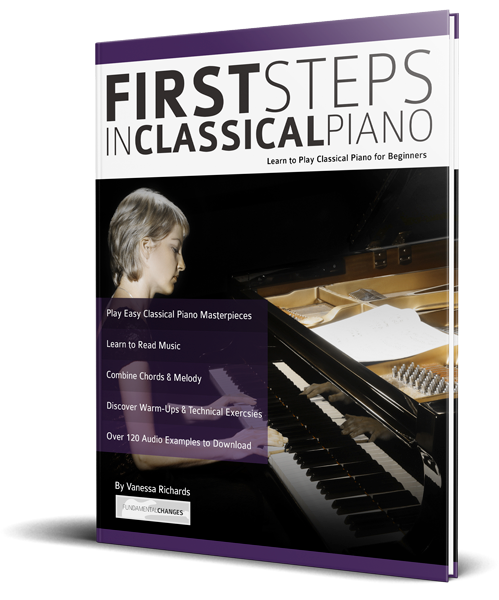 Either as a stand-alone guide, or as a resource to support lessons with your piano teacher, First Steps in Classical Piano will dramatically speed up how you learn to play piano. You will quickly master excerpts from iconic classical piano pieces, while learning to read music, play scales and develop piano technique. What’s stopping you from playing classical piano? • Have you always wanted to play classical piano but didn’t know where to start? • Are you looking for a simple piano method that can help you play recognisable classical pieces quickly? • Would you like to be able to play famous piano pieces for your family and friends? If you love the sound of classical piano, but thought it would be too hard to learn, think again. This book explains in simple language the fundamentals you need to know to play beautiful piano pieces and includes lessons on how to develop correct technique, navigate the keyboard and read music notation. 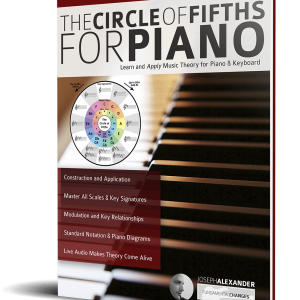 You will master three simple scale patterns that unlock the melodies of famous classical piano pieces and work towards playing longer pieces by the end of the book. First Steps in Classical Piano includes over 120 supporting audio examples, so you can hear exactly how each technique, warm-up exercise and piece should sound. Buy it now and take your first steps to playing beautiful classical piano pieces today.